Are you performing due diligence on I Components Based in Wanchai from Hong Kong who sells Electrical Components? If so, you may want to read the below review of the experience of one buyer and their recommendation to consider when dealing with this company. 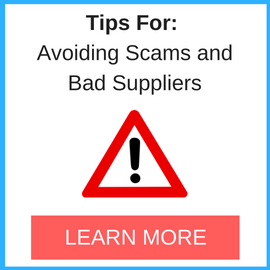 and on Google as well as other bad suppliers of Electrical Components reported here on SBL. 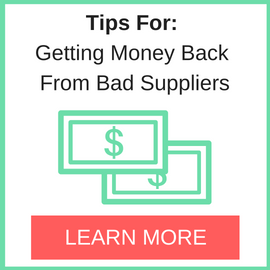 I believe we have been scammed by i-components.com. We received a quote after finding them on a search engine by the part number we typed in. We then ordered the parts and sent a wire transfer and have not heard from Zio Zhang since. I emailed the company from my personal email as a new customer and he responded right away. I asked him to send a business licence and he sent one right away under a different company. I learned that an awesome website and instant quote do not constitute a legitimate company. I will have to do more research before ordering from China again. Need More Info on I Components Based in Wanchai? If you need more information, you can click the below links to search for more submissions about I Components Based in Wanchai on Supplier Blacklist as well as go to the search results page on Google for more reviews online about this company. 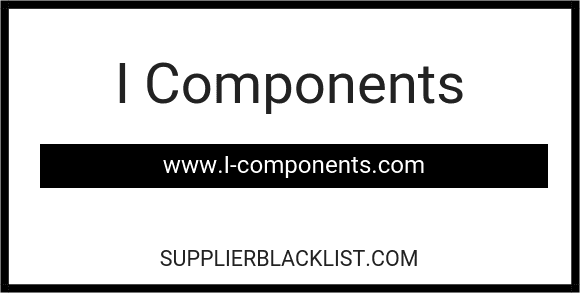 Perform a Supplier Blacklist search for more reviews on I Components Based in Wanchai. Search Google for I Components Based in Wanchai Reviews.